The PGA Tour's U.S.-based pros have clustered together at an astonishing rate. Just five communities are home to more than half of the 228 Tour pros living stateside, leading to fascinating social dynamics when neighbors take on neighbors at events around the country. So what if we took things to the next level? What if professional golf wasn't comprised of individuals but region-based teams, and locals could root collectively for their pros-in-residence? Here's a look — scouting reports included — at the nation's would-be top 11 teams, ranked from underdog to powerhouse. Ground rules: Each player must have PGA Tour status and officially reside (based on Tour data) within 25 miles of his team's city. Five players per team. California is the birthplace of 24 current Tour members (more than any other state) but is home to just 11 pros, and it's not the bad weather that's scaring people away. One major factor? The top state income tax in the country. Heck, we had to stretch our geographic rules just to put a full SoCal squad together. Snubs: None, except geographically: Would-be team leaders Phil Mickelson and Xander Schauffele both live outside the required radius. Scouting report: Steele is solid and Wise is on the rise, but John Merrick finished 150th on the 2017 Web.com money list and won't scare most opponents. Not a super deep squad. Bad news for this team: local pros aren't given special invitations to the Masters. Snubs: Augusta's ringer-in-residence, (approx.) 200-time club champion Jeff Knox. Scouting report: Vaughn Taylor is on the move — he was outside the top 300 entering this year! That's about it for good news here. The biggest city on this list is an underdog nonetheless. Snubs: One particularly dark horse would be Jim Nantz, who played college golf at U of H and has been spending many nights practicing on his backyard par 3. Scouting report: More like Who-ston, amiright? We don't want to sell any team captained by Patrick Reed short, but Stroud, Kim, and Stefani will have their work cut out for them. The Queen City is a heck of a golf town that's still searching for its alpha pro. Snubs: Carolina native and world No. 1,937 Steph Curry may be making a run for this team before long. Scouting report: We like their chances at Quail Hollow. Besides that? Meh. Ponte Vedra is home to Tour headquarters, TPC Sawgrass, and a decent crop of pros. 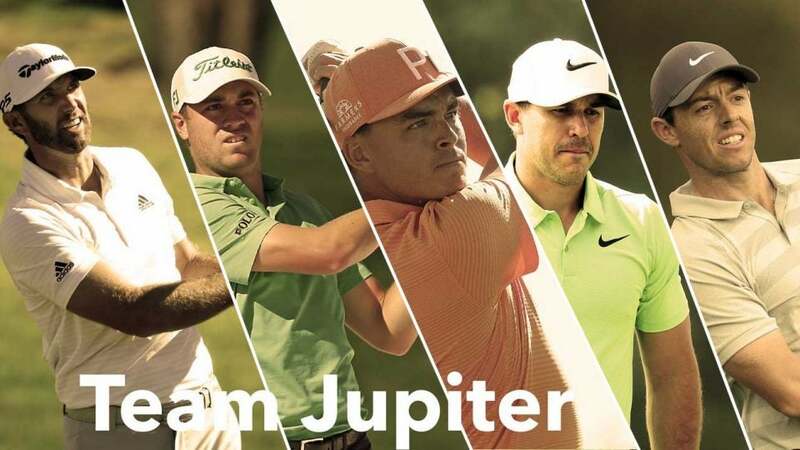 Several have settled there from abroad, like Russell Knox (Scotland) David Lingmerth (Sweden) or Vijay Singh (Fiji), favoring the quieter atmosphere to the bustle of nearby Jacksonville. Snubs: We've set up this competition just a few years late for Vijay Singh, who still miraculously lives down the road from the organization he's been suing for years. Scouting report: An international medley that's solid, if unspectacular, from top to bottom. No state income tax… Vegas, baby! This is an older crowd, but solid. Snubs: Anthony Kim reportedly spends a fair amount of time in Vegas, and would certainly up the intrigue coming from this fivesome. Scouting report: This is my underdog team. Stoic group of veterans with well-honed poker faces? Sign me up. Scouting report: Two men from Texas and three more from South Korea comprise a streaky squad that could get hot at the right time. Si Woo Kim is the ultimate X-factor: if he brings the same game that got him a strong W at last year's Players, you never know. Nineteen pros seems like a lot, but consider that in the pre-NetJets era, when Tour pros cared about commercial flights, Orlando was the hub for all things pro golf. Tiger lived there until 2011, fergodsakes! Now, the gated communities in the Disney burbs are home to a slightly aging but still talented demo. Snubs: If you haven't seen the video evidence, Goofy is a hell of a player and we hear he lives nearby. Scouting report: An accomplished group, but getting grey! They've been on the scene since Orlando was cool. With Woodland getting hot at the right time, can the rest of the group play like it's 2013? The Sea Island crowd is headlined by a low-key group of American Tour vets. These island lifers don't seem so different from the Ponte Vedra Beach crew, who live comparable lifestyles just 100 miles south. Snubs: Davis Love is the mayor around these parts and would be a reliable fill-in. Scouting Report: Crafty, under-the radar bunch. Does anyone get less credit than the top three members of the Sea Island team? 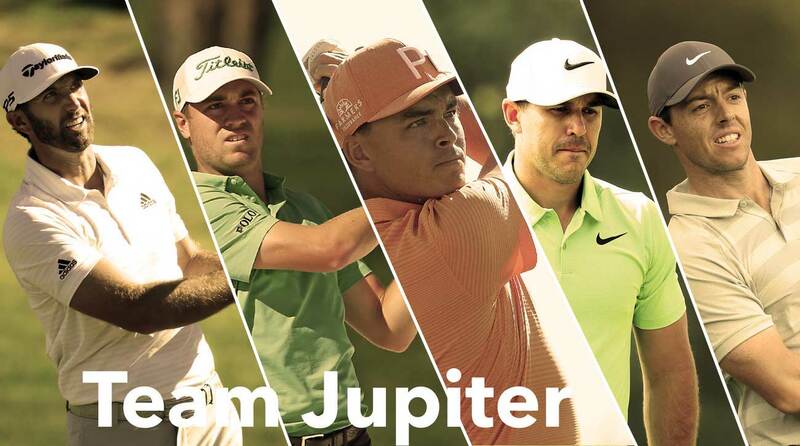 An unofficial entrant, just inserted to point out the ridiculous depth of the Jupiter crew. Snubs: Uhh, Tiger Woods comes to mind — not to mention our current president. Captain's picks? Scouting Report: B Team?! This squad is stacked. Scottsdale, home of the fun fratty wreckage accompanying the Waste Management Phoenix Open, is an upscale suburb of Phoenix and boasts some high-caliber talent. A couple locals were in contention at this year's Waste Management, including Reavie and Rahm. Snubs: Kevin Streelman's gettin' hot! Scouting report: Judging by the last few weeks, Chez Reavie is the hottest player in the game. Can Jon Rahm keep his engine from overheating and take Arizona to the top? We're dying to find out. At any given time, five of the world's top 10 could meet for dinner in about 15 minutes. Snubs: Nobody should feel bad being left off this team. Scouting report: What's left to say? In a match pitting Jupiter vs. the world, Jupiter would be favored. Now let's make this happen.